I came across this name and kinda like it. She pronounced it tuh-NEE-ool. How would you pronounce it? Do you like it? Tuh-nil. I think it would be an interesting middle name, not sure I like it for a first name. Like the Captain and Tenille? I think it's pronounced more like tuh-NEEL. And apparently that is her surname actually. I would steer clear of a name that you don't know how to pronounce because chances are others will struggle too. I think it sounds like a war more than a name really. I would say it teh-neel. i don't think it's terrible but i do prefer Camille. It's tuh-NEEL, and it was the singer's surname. I'd skip it. GL! Tuh-NEE-ull. The end sounds like the name "neil" and the whole thing is a bit similar to Camille. I like it. I had a neighbour called this. Please keep your comments positive and helpful. Even if you don't like the names. Thanks! You are not logged in. You are posting a comment as a guest. 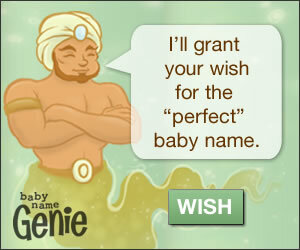 First and middle baby name generator. Copyright 2005 - 2019 Zimris, LLC. Thanks for visiting. Come back soon and don't forget to pass on the baby naming fun!